Today called for a change of pace! After doing some intensive bead work, I pulled out my very old heavy duty Singer sewing machine, my box of paper collage and various materials, and got to quick work! 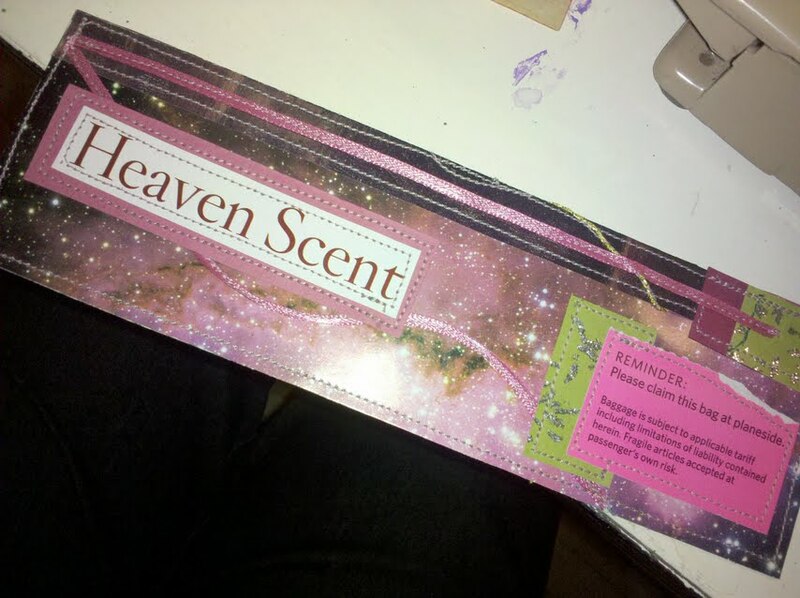 The Heaven Scent bookmark brought a needed focus to the day. Sometimes it’s just good to work on something that’s simple in a “plan-as-you-go” kind of way. I started with my first rectangle cut from a heavy page from a magazine and chose several other colors of paper to go with it. Sewing in a free form kind of fashion with the sewing machine can be great fun! You can create your own design or let the printed material help to guide your way. At times I may sew two separate sides and then stitch them together. Other times it may begin as a larger sheet that is folded in half and then stitched. Use the discarded thread ends, bits of ribbon and a loose approach, and it is a delight to see the result! I find it is very helpful to pull myself away from a large project to just get the creativity flowing in a new way, making those new brain connections. It’s like being on an island and finding your way around; an island is only so big, you can’t get too lost! 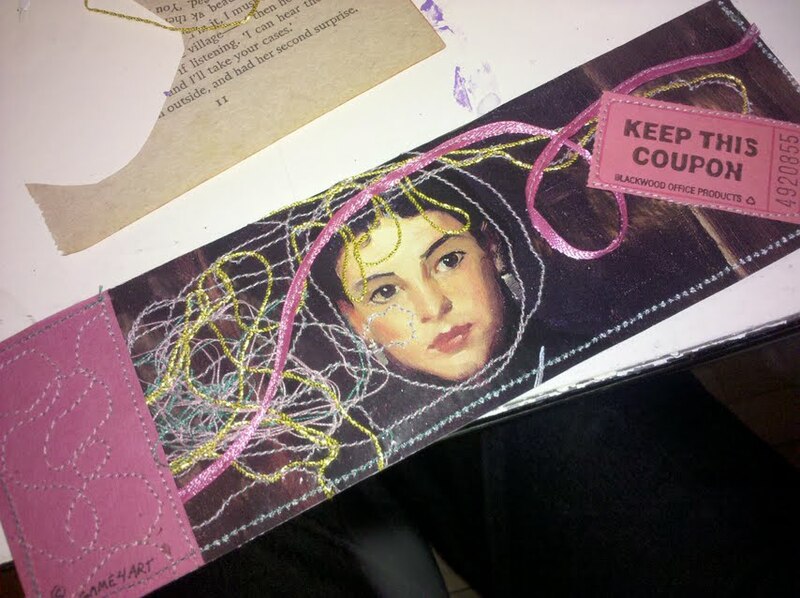 This entry was posted in Two-dimensional work, Uncategorized and tagged beads, bookmark, collage, ribbon, sewing. Bookmark the permalink.